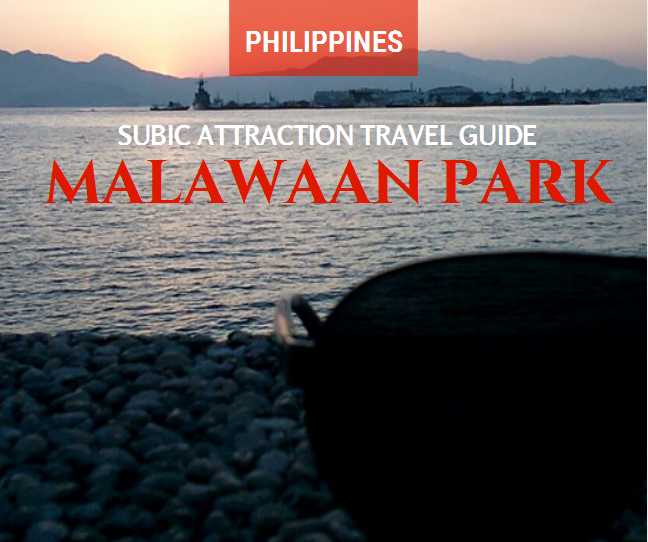 Malawaan Park is a recreational place just beside the sea port of Subic Bay Freeport Zone (SBFZ / SBMA). 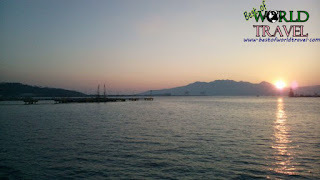 It is considered as one of the Subic attractions where couples can have a budget romantic date. No entrance fee, no hidden fees, just bring your food and everything else to set up your dream date. Travellers might also add this park on the list to view the awesome sunset that looks like the sun is hiding just between the two mountains in front of this Subic attraction. What’s in this Subic Attaraction? There are a few mini cottage like things just beside the road, of course they are free to use. Malawaan Park offers a spacious landscape with Bermuda grass where everyone can sit and enjoy. Kids may also play here without worries. There are also some recreational swing and slide for playing purposes of your beloved children. 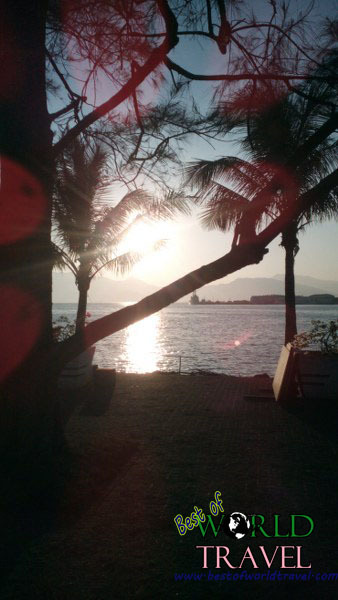 Malawaan park boasts its awesome sunset view that gives the chill of romanticism for couples dating on the site. There is no available store on the park. You have to buy something else before going to the main site. But, there is an awesome food truck that parks on this awesome Subic attraction from 3PM to around 9PM, the Mad Hungry Food Truck. You can read my review regarding on their best burger in town here. There is also a restaurant just a few meters away from the Park, the Rali’s Grill and Bar. How Great is the View? Travellers and love doves would really like to see how great the view in every places they wanted to be, but of course, would it be so romantic without an awesome view? 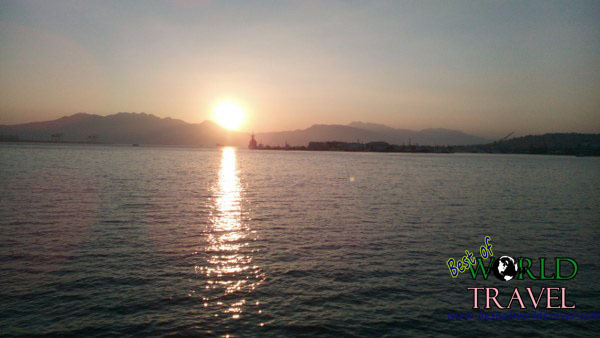 Take a look at our 7 minute video footage at Malawaan Park’s sunset on March 23, 2016. 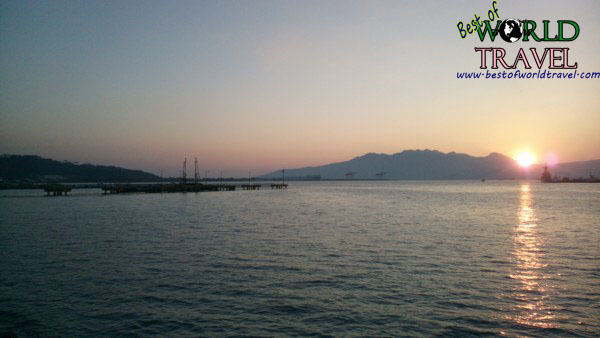 Malawaan park, a great Subic attraction is best to see on the afternoon because of its amazing sunset. You can also find a couple of ships docking / docked on the sea port. Sport Fishing is also highly observed in this particular area. A large group of fishers compete to each other to see who can catch bigger fishes. Others return the fish on the sea after catching, but mostly if it is big enough they keep it. 1. From SM Olongapo / Harbor Point Mall , go to the shuttle service terminal. You can find them just beside the Harbor Point Mall near the Gate. For those who will come from Manila, you can read my travel guide here. 2. Ride the shuttle that will go to Cubi (mostly L300 mini cabs). 3. The fare from terminal to the Park is 10 Pesos or 0.1 USD (subject to change) as of March 2016. Of course the same price when you will return to Harbor Point Mall. 4. Tell the driver to drop you off to Malawaan Park. 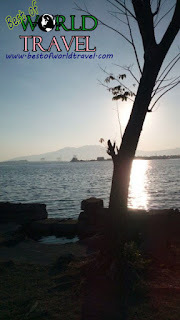 You will see a sea port just in front of the park, and sometimes there are huge ships docked near this great attraction in Subic. 6. The L300 mini cabs are on the road at an intervals of 30 minutes – 1 hour. You can just wait them at the intervals if you are going home after the trip.